The alternators and other components used in Peterbilt trucks vary. It is important to note that not one brand or specific type of alternator fits a specific type of truck – many alternators cross over into different types of trucks and fields. For example, an aftermarket 160-amp 12-volt alternator used in a Peterbilt truck can easily fit a Ford or Volvo heavy-duty vehicle. Often, companies just buy the best heavy duty Peterbilt truck alternator for the price, when it comes to servicing and fixing their heavy duty vehicles. If you think about the actual function of an alternator, this is not always the best decision. A heavy duty vehicle, such as a truck or bus, often spends a long time sitting at idle. During these periods of idle, vehicles require an alternator that can handle a high electrical output. While a regular Peterbilt truck alternator handles this output, it takes a toll on the engine. 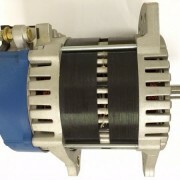 Unequivocally, many of these high-output, heavy-duty alternators also result in high RPM. 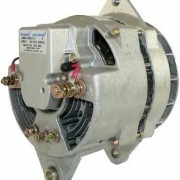 Finding a suitable alternator that is heavy-duty and produces low RPM is a much better choice. When an engine is consistently at high RPM, several things happen. It takes a toll on the engine, it causes a spike in the battery, and it wear on the alternator. Running at high RPM also costs companies and services when it comes to fuel costs. Switching to Eco-Tech is a smart idea. An Eco-Tech alternator is not only great for the environment, but is able to generate 260 Amperes while only taking the engine to 1,800 RPM. At best, the lowest competitors can reach is 2,000 RPM. Not only does an Eco-Tech switch save money on wear and tear, component replacement, and fuel costs, it also saves the end user money when it comes to other components that regularly need to be installed in a heavy duty vehicle. The Eco-Tech switch eliminates the need for high idle devices, load shedding devices, and multiple battery packs. 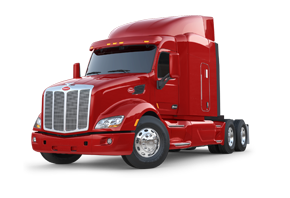 If you regularly use Peterbilt trucks in your operation, and are searching for a more cost-effective way to take less toll on the engine, the switch to Eco-Tech will save you money in many different ways, from fuel to repair.